Too glad to introduce absolutely hand draw characters from a most of popular game in the World! This is a Angry Birds! 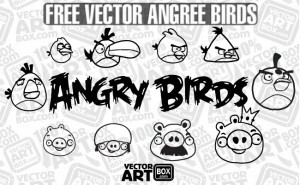 Free vector sketch angry birds you can download for freebie. Free for commercial use.